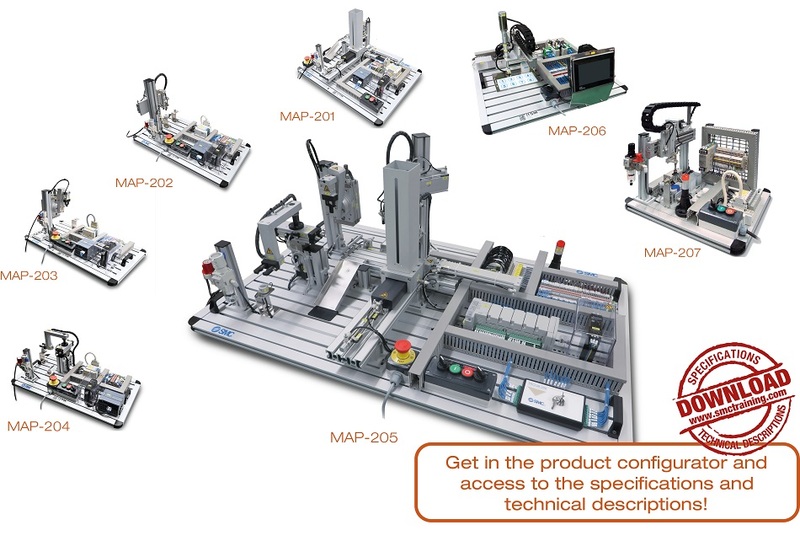 The MAP-200 series consists of seven independent and different training systems. Each of these carries out a simple assembly process by reproducing subsets of more complex processes found in industry. They can all incorporate the TROUB-200 trouble-shooting simulation system. - Without PLC: It comes assembled, adjusted and wired up. The PLC is not included. - With PLC: It is supplied fully assembled, programmed and tested. We have a wide variety of PLC brands. Please consult availability. - Assembly kit: The equipment is supplied as a complete kit with of parts. In addition to the practical activities normally available, the student can carry out assembly and equipment adjustment as well as pneumatic and electrical wiring. 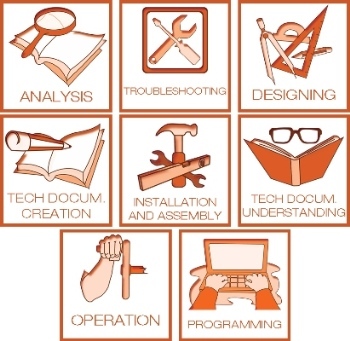 The assembly instructions and drawings provided in the documentation guide the student through the building and wiring tasks. This version does not include a PLC. 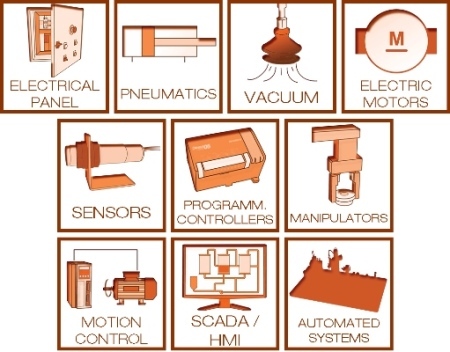 Common elements for all equipment: anodised aluminium structure, control keypad, electric connection terminals, labels for cables, solenoid valve blocky, user manual and practice manual.